Archaeologists Need Help: What is this? Home › Culture › Archaeologists Need Help: What is this? An exciting discovery is made in the same area as ​​the Tune Viking ship burial mound in Fredrikstad Municipality that makes archeologists wonder. The Tune ship was built about 900 AD – at a time it is known that the Vikings had established trade connections with the Byzantine Empire and Persia. Every week, Østfold County Cultural Heritage Authority receives discoveries made with metal detector. Now it is found something that might have been a bowl with Arabic script, but the experts are uncertain. – Stray finds in the surrounding area of the Tune ship burial mound are very rare, says archaeologist at the Østfold County Conservator, Anne Skullerud to NRK Østfold. 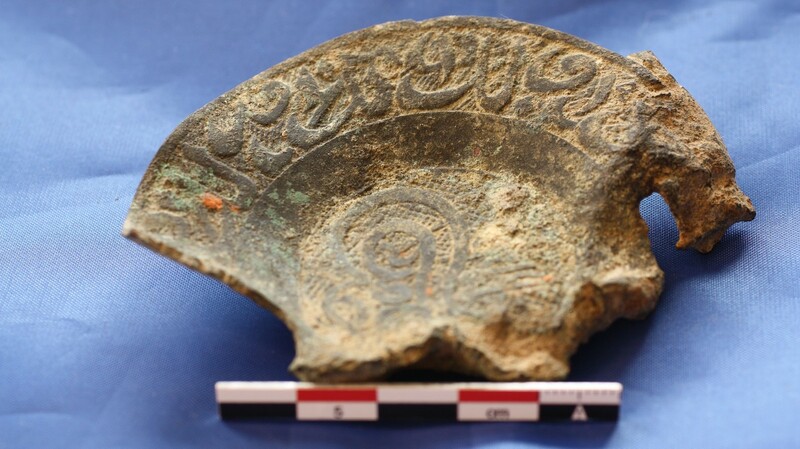 The object has probably been a part of a bowl made of a bronze alloy which may have been 8.5 centimeters (3.5 inches) in diameter, and has Arabic script. – Now we wonder what the inscriptions are, how old it is and how it has ended up in Tune. Is there anyone who can help us, the archaeologist asks. It is the Arabic script that makes the archaeologists curious. 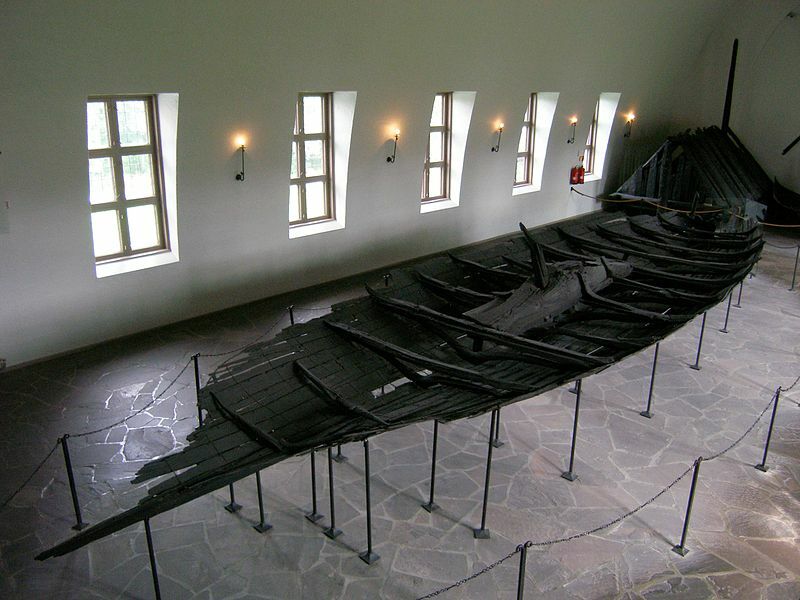 The Tune Viking ship was found at Haugen farm on Rolvsøy in Fredrikstad Municipality, Østfold County. It was built around AD 900, and is made of clinkered oak planks. It was found in a large burial mound and excavated in 1867. Unfortunately, only parts of the grave goods is preserved: Parts of a saddle, a few glass beads, and some completely corroded iron artifacts, including a breastplate, sword, two spears and a shield boss. There were also found the remains of an unburned man’s grave with the remains of clothing. The Tune ship is fragmentary, but may have been up to 22 meters (72 feet) long. It is 4.35 meters (14.3 feet) wide and would have had 11 or 12 pairs of oars. ‹ Hooray for 17 May!